Chakra Healing - Your Allies of Foes? Chakra Healing - Your Allies or Foes? I know that the sheer scope of challenges you face in life can be jarring, which is why learning about your Chakra System is a priceless lifelong asset. 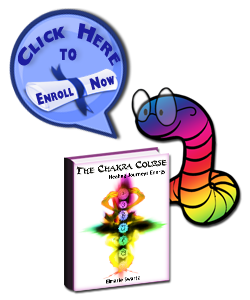 In "The Chakra Course" you will learn to turn your Chakras into your closest allies and finally create the life you deserve! Weaknesses in your Chakra System... Can Sabotage your Life! Therefore learning to manage your chakras puts your life back in your hands by allowing you, at any given time, to know which area of your life needs healing, and most importantly to know exactly how to improve it. Your Chakras are the seven power points in your body that circulate energy or life force also known as "prana or chi", located within your physical and etheric body. Their actual positions, functions and attributes with regard to your physical body is an involved topic, with many complex claims depending on whether you see them from the Western or Eastern perspective. Generally though, their positioning from both perspectives are similar and there is an overlapping and sharing of functions amongst the chakras which you will explore in this chakra healing course. You will also be certificated by HJE and accredited by ILLI. Do you feel stressed out, depleted or in need of more energy? You deserve to feel relaxed, to feel energised, you deserve to feel good and full of energy every day! 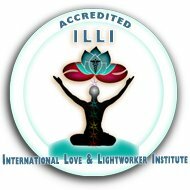 In this chakra healing course you will learn how to recover, how to use chakra healing so that you can continue on your unique healing path of self discovery. The time is now... take control of your own life and well-being! The relationship between chakras and colour. How to affect the movements of life-force in order to clear and purify your chakras... for under $35. 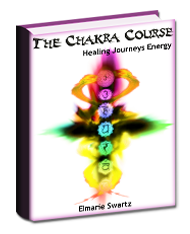 I so look forward to having you join me as I personally guide you on your Chakra Journey. Know that as you travel I will be there with you every step of the way to help and support you as you become the master of your life and well-being. I know you will be delighted to discover ways to empower your chakra centers and balance your energy system and understand issues that influence your chakras and their functions. Every chakra is a key to unfolding many of life's secrets and by taking control you become the creator of the life you always wanted. I look forward to your success so that on your graduation of this crystal healing course I will be able to hand over your certificate from HJE School of Energy Healing. "There is deep wisdom within our very flesh, if we can only come to our senses and feel it. ~Elizabeth A. Behnke~"
Lesson 1 - What is Energy? Lesson 3 - How is Chi/Ki/Prana distributed? Lesson 5 - Why Energy affects our Chakras? Lesson 7 - What is a Chakra? Also you will get 7 must have works for your healing library. Yes... you read that right 7 books absolutely FREE for you to download. 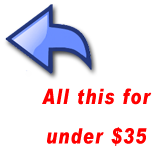 Receive a 10% discount on all other products!